I'd launched at Lowell Road and was working my way downriver towards an eventual turnaround point at Route 225 in Bedford. 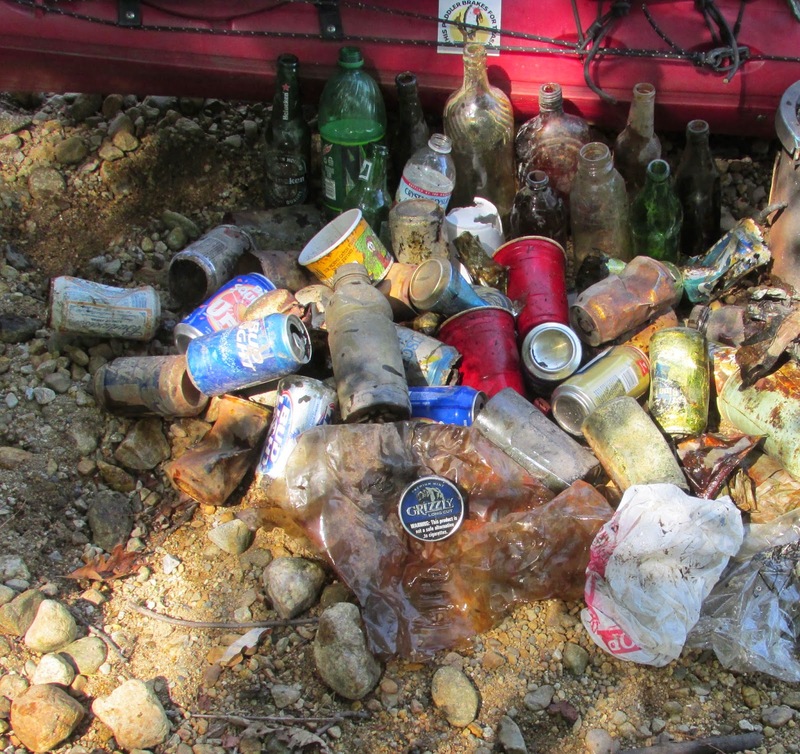 There were 29 recyclable containers (15 redeemable) and 29 pieces of miscellaneous rubbish. 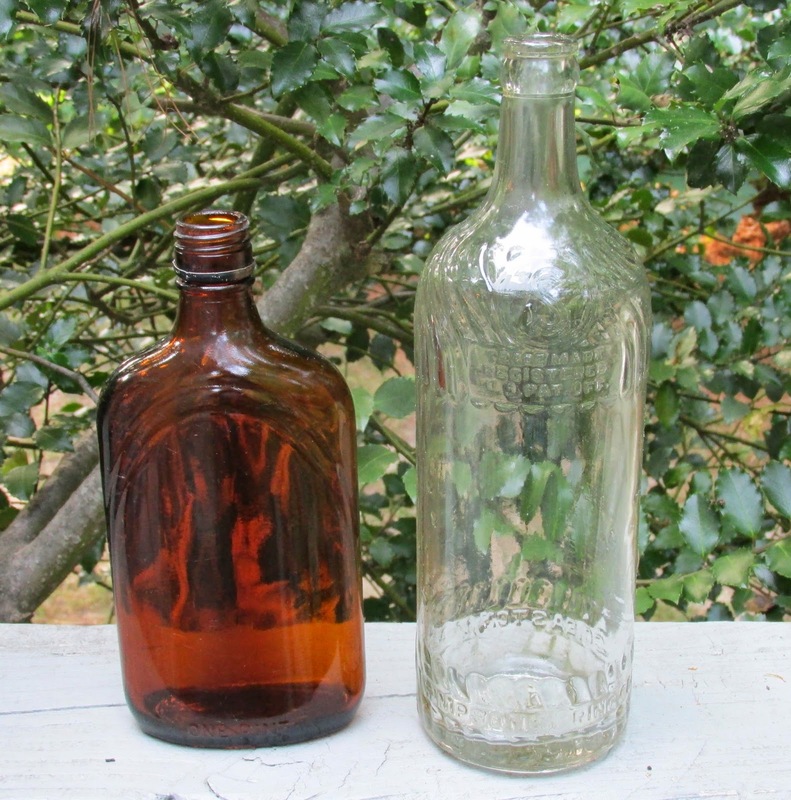 The clear Simpson Spring Co. bottle circa 1949 combines with a similar one from the Assabet to give me a pair of these rugged bottles. The amber bottle dates from 1954. Speaking of rugged bottles, I caught the last bit of a tv program showing how beer (Carlsberg) bottles in Denmark are returned by consumers to stores, cleaned, sanitized, and refilled with beer as many as 50 times before being removed from circulation and recycled into new glass. Sounds like the Danes understand sustainability much better than most folks, and pay an 18 cent deposit per bottle to get the job done. Great foggy shots - especially the Old North Bridge.